Standard High Head Pumps | HL8 & HL200 8"
This 8″ high head pump is skid mounted and is the UK’s leading quarry discharge pump. It is also available for water transfer and offshore applications. 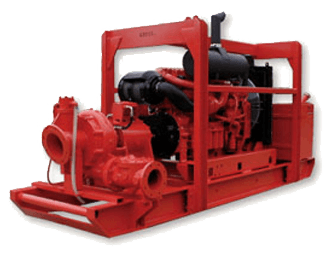 Open impeller construction gives excellent solids handling ability for a high head pump.